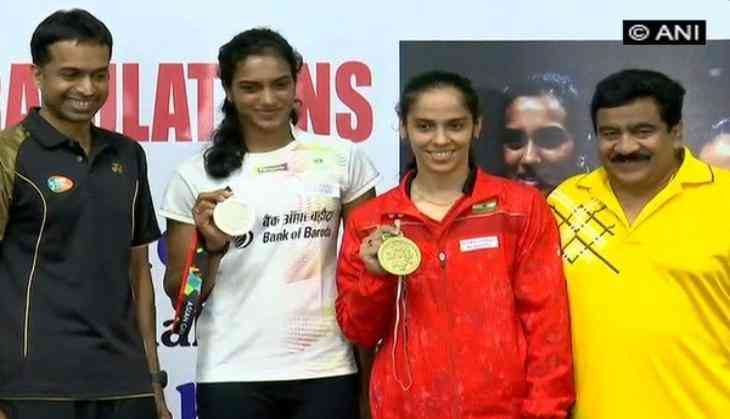 India's national badminton coach Pullela Gopichand on Thursday termed ace shuttler PV Sindhu and former world number one Saina Nehwal as "strong and powerful" after they made the country proud by picking up silver and bronze medals respectively in the ongoing 18th edition of the Asian Games. The coach further revealed that he is working on the duo's strategies against Chinese Taipei player Tai Tzu Ying, who knocked both, Sindhu and Nehwal, out of the competition in the prestigious tournament. Speaking at a press conference, Gopichand said, "Both of my girls are strong, both physically and mentally. They don't give up. They are powerful." "If you look at Tai Tzu Ying, she is dominant. We are working on our strategies. You need to be consistent and do everything right. It is not going to be easy. We need to work. Everybody wants to win and it is important for us to come back and do our homework," he added. Reflecting on India's poor performance in the men's singles badminton event, the former All-England champion said that the playing conditions in Indonesia were tweaked in such a way that the shuttle was moving slowly, something that made the matches physically daunting for the players. "Every time we used to have fast courts, fast shuttles and a lot of drift. But this time, they tweaked the stadium in such a way that shuttles were slow and the quality of the shuttles made it long rallies and slow courts which made it a tough and physical game," he said. "Prannoy likes fast shuttles but he didn't get it. They were not comfortable, but I think we could have done better," he said. Talking about her journey in the Asian Games, PV Sindhu said that it was a stepping stone and gave her a lot of confidence. She further stated that not getting the gold medal is not the ending and that there are many more tournaments to come. On the other hand, Asiad bronze-medalist Saina Nehwal asserted that every match comes with a new learning and there is always something positive to focus on even after losing. India's total medal tally at the quadrennial event stands at 54- eleven gold, twenty silver and twenty three bronze.